Did you see my gushing praise on my vlog yesterday? Did you know that next month the release of one of the best Young Adult novels I've ever read comes out? Between Shades of Gray, by Ruta Sepetys reviews a little known fact of history - the subsequent aftermath of the signing of the Nazi-Soviet Non-Aggression Pact resulted in millions of people, those considered "anti-Soviet" in the Baltic States (Estonia, Latvia, Lithuania), were deported to Russian prison work camps and sentenced to ten or more years. Many were as young as children, even babies, who were sentenced. With the countries being erased off of the map, who would remember them? Read my full review by clicking here. 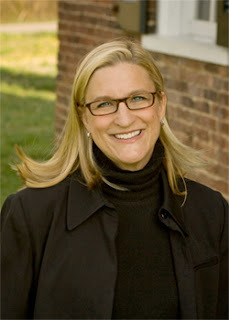 I'm so fortunate to have this opportunity to host a giveaway and include an Author Interview with Ruta Sepetys. The research conducted with survivor stories is unquestionably heartbreaking, yet beautifully written. If you don't win this book through this giveaway, please make sure to read it soon - there is so much history to share! I have TWO copies to give away and the author is also including these beautiful bookmarks & key chains! Please leave a comment with your email address. You don't have to be a follower of the blog or Twitter...you don't even have to tweet about it or anything...BUT...I love feeling the love. 1. As a debut author, what prompted you to begin writing and to go through the tough process to find an agent, a publisher, etc.? RS - Growing up, I was a bit lost in the middle. I never felt part of the inside track but I wasn't an outsider either. So I became more of an observer. I wrote things down with the intention of one day creating stories around the characters and situations I observed. I also love to discover bits of history that may have been hidden for some reason or another. The piece of history I wrote about has a very personal connection for me but it wasn't the first book I queried with. I sent a middle-grade novel to an agent and at the last minute decided to enclose a couple pages of Between Shades of Gray, just to show the range of my writing. The agent called and told me that the voice and story of Between Shades of Gray felt more authentic than my other book. He told me that's what I should pursue. So I shelved the first book and wrote Between Shades of Gray. I am so grateful for that advice! 2. Your debut book which is released next month, deals with some very tough topics that are not often, if at all, discussed in history. As Lithuanians in the 1940s, Lina and her family find themselves in the middle of a great political divide when it was deemed that the Baltic States should no longer exist on a map. 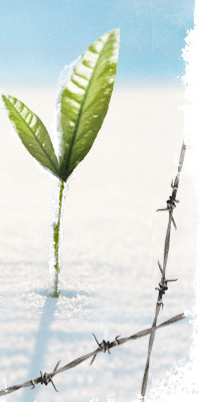 The deportation of hundreds of thousands of people to Russian gulags and to work on farms occurred. Given prison sentences of more than ten years at times (even for children) were issued. They essentially starved or froze in the harsh winters as a result of these prison sentences. How did you begin your research? What was it like to visit the areas that you mention in the book? RS - I took two trips to Lithuania to research the book. I met with survivors, family members, historians, psychologists and members of government. I conducted lengthy interviews. It was heart-wrenching, really emotional. Some of the people I interviewed had never spoken about what happened and it was quite traumatic for them to talk about it. But it was wonderful to finally meet many family members and see where my father grew up. 3. 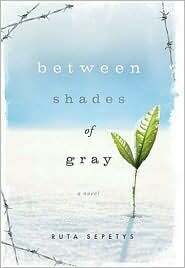 Between Shades of Gray touches on several tough and heart-wrenching moments that many people may not normally read about - what helped you decide to write it for the YA audience? RS - Many of the survivors I interviewed were teens when they were deported to Siberia. Their stories were incredibly compelling. The teen years are intense because you're experiencing so many things for the first time. Imagine going through that in captivity in Siberia. So I thought that making the main character a teenager might add an interesting dimension to the story. Also, I desperately hoped that by writing for a YA audience, teachers and librarians might discover this piece of history. 4. While Lina was the main character and I absolutely loved her, I found that I was equally drawn to her mother - her strength and resilience brought me to tears on more than one occasion. Was there someone in your research that caught your eye to make this character, or was it a combination of research and personal influences? RS - The character of Elena definitely came from personal influences, most of all my own mother and sister. My mother has always been so devoted and loving to her children. My older sister is also an incredible woman and mother. So I combined my mother and sister to create Elena. 5. The title of the book is beautiful, and the cover is magnificent! How did you come up with the title and how involved do authors get to be when it comes to selecting the cover of their book? RS - Thank you! I love the cover too. The designer at Penguin did a wonderful job. In my case, I wasn't consulted about the cover. But when my publisher sent it to me I loved it immediately. In terms of the title, I think sometimes we tend to categorize things in the extreme (good/evil, love/hate, etc.) But usually, things are not simply black or white. More often, the truth lies somewhere in the middle and we find love there, between shades of gray. In meeting with survivors I learned that their situation was complicated and choices were difficult. Not all the Soviets were cruel. Some showed compassion. So they couldn't hate all of the Soviets. Hope and truth lived between endless layers of gray. That was the inspiration for the title. 6. The video explaining the reasons for why you wanted to write this story - how your family was affected by this historic tragedy - was both beautiful and incredibly sad. How has your family, both in the States and overseas, received your book? RS - My family has been incredibly supportive from day one. My parents read every draft and we have celebrated each foreign sale together. My father also appears in the video and it was incredibly special to have him in it. 7. What authors/books do you love to read? RS - Wow, there are so many. I love anything by Meg Rosoff. I also love Laurie Halse Anderson, Deborah Heiligman, Edith Wharton, Sharon Cameron, Roald Dahl, and Philip Ardagh. I also enjoy non-fiction and biographies. 8. What's next for you? RS - I'm currently writing another book for Philomel. It's historical fiction set in the US in the 1950's. In terms of what's next, I just want to keep writing. I have so many stories and characters in my head and I really want to get them down on paper! 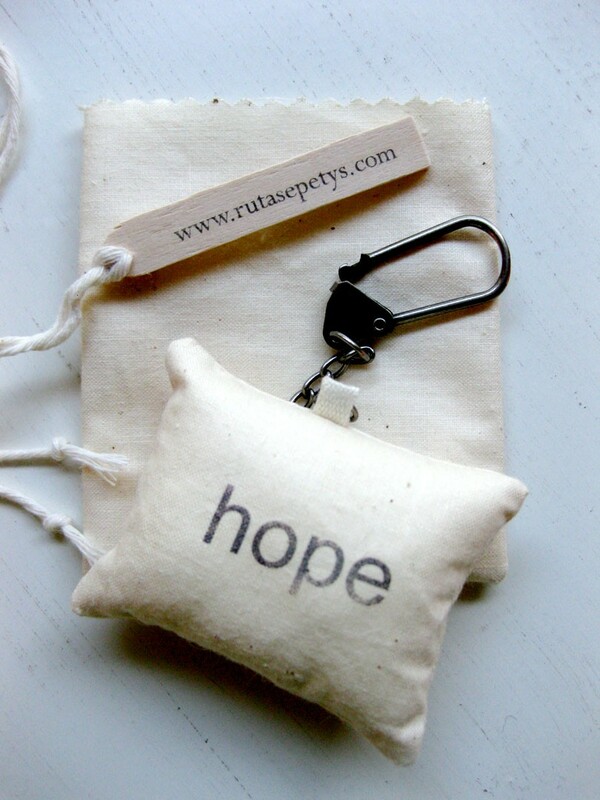 Thank you so much, Ruta!! I'm really looking forward to seeing the success of your book and I can't wait to read more from you! RS - Thank you so much for having me here, Natalie! Born and raised in Michigan, Ruta Sepetys is the daughter of a Lithuanian refugee. The nations of Lithuania, Latvia, and Estonia disappeared from maps in 1941 and did not reappear until 1990. As this is a story seldom told, Ruta wanted to give a voice to the hundreds of thousands of people who lost their lives during Stalin's cleansing of the Baltic region. This sounds interesting! I have just finished reading Purge (Sofi Oksanen) that takes place during and after wwii in Estonia. It's an area of the world we don't know enough about. Oh, here's my email address - jh303015 at gmail dot com. BTW I am subscribed to your blog AND a twitter followers. I recently read this book and it was very personal for me since some of my relatives lived through that event. I am a major fan of Ruta Sepetys' after reading the book and have sent her a couple gushy fangirl emails. Thanks for this wonderful interview. No need to enter me. I loved this interview and would love the chance to read this book. I do remember you being so excited about it, and I think we have somewhat similar tastes in books, so please do enter me in your giveaway! I would love to win this book. It's on my wishlist. Thank you! This book sounds like a great read. Thanks for doing a giveaway! I'll tweet this contest! And FB fan you! Also, I'm giving away two YAs on my blog, also open internationally. Stop on by! I've wanted to read this since I first heard about it. Thanks for the chance. Wow, wow...I don't read a lot of YA, although my favorite book of all time is the YA novel The Book Thief by Marcus Zusak. I read your review and watched that incredible video with tears streaming down my cheeks. I need to read this book! Thanks for the giveaway! I saw your initial review of this book and have had it on my TBR list since. I anxiously await this book to be released so I can read it. As a history buff, I've always been interested in things that are often overlooked--for instance, the Armenian genocide wasn't mentioned in my high school world history textbook at all, so I was very confused when I stumbled upon a historical fiction novel about it around the same time. I am a fan of your Facebook page! This looks really good! Thanks for the consideration! And for the opportunity to win a copy of Between Shades of Gray. Wow, this sounds great! Count me in. This sounds like it will be a good read. Thanks for the chance to win it. Just found your blog. sure looks interesting. I'll be back. Great interview! This is one i'm buying as soon as it comes out! I've been hearing about it for month. Interesting story for a book. I don't know much history about this region and I enjoy discovering new historical events, no matter how gruesome they may be. IT makes search out additional information about the countries and people involved. I cannot imagine how difficult those interviews with survivors must have been. It is wonderful that you have told their story. I agree ... that cover is eye-catching and stunning. And it is good to hear about a YA book that is ABOUT something and not just about vampires and werewolves (not that there is anything wrong with that). Great interview. I've been wanting to read this one for a while. I love historical fiction, especially when it's as compelling as Between Shades of Gray. Thanks. Wonderful interview and sounds like a lovely, compelling read! I'd love to be entered! I love the sound of this; please enter me (I'm a follower). I read Ruta's manuscript and her book is absolutely amazing! I think she's going to have a shot at something big . . . Newbery? Major motion picture? Who knows, but the possibilities for this book are limitless! Thanks for giving a great interview. I would love to read this book! Thanks. Thanks for the opportunity! Sounds like a fascinating story. I'd love to enter this giveaway! That book sounds fascinating! I'm a WWII history junkie and would love to learn about this. I love historical fiction. Thanks for giveaway. I may be late for the giveaway but still wanted to say that I really enjoyed the Q&A. A book for my wish list that's for sure - sounds really wonderful. Thank you all for entering! Entries are now closed as of this morning, February 28th, 2011 (US, EST). If you don't win, please do check this book out - Ruta Sepetys is a debut author with a clear voice in the YA world! Please don't count me for the giveaway; I was lucky enough to receive an ARC of this title for review myself. Ever since I saw the first reviews last year, it's been on my must-read list! I can't wait to get to it! Great interview! Wonderful video and interview. I just now put this book on my TBR. As a little girl, I grew up across the street from several Latvian families now I know a very strong reason for their emigration. This must not be forgotten. Thank you for introducing this book to all of us. Please enter my entry into this contest. Thank you. what a compelling interview with such a talented author! i look forward to her next book and hope between shades of gray WILL find a place in the school setting - thanks for the amazing interview! If you love it, it must be great. I will have to put it on my list.Thanks.